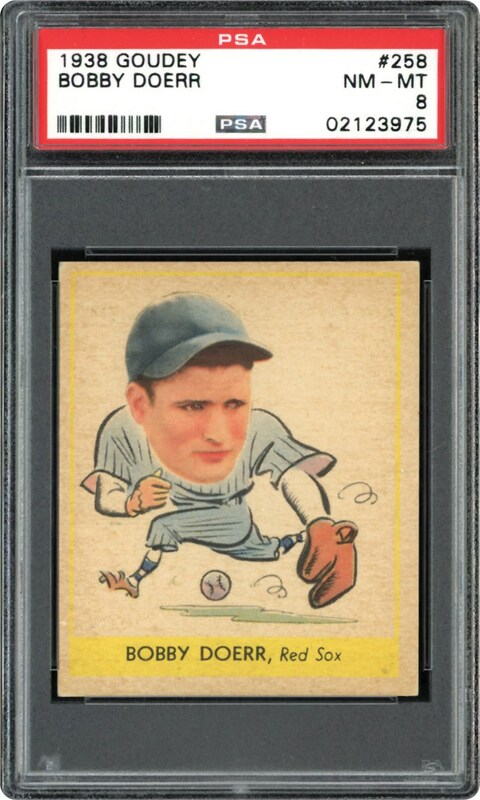 One of Doerr's best-preserved cardboard artifacts is this spectacular 1938 Goudey "Heads-Up" PSA NM/MT 8 offering that has only been surpassed by a single copy. 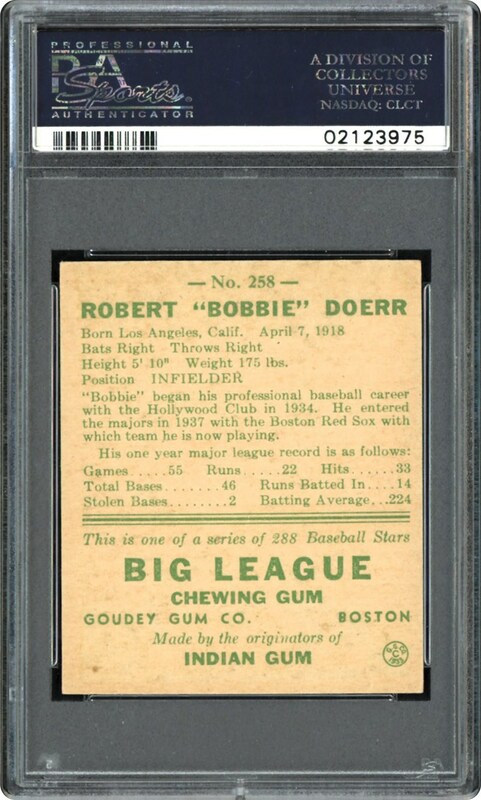 Like Doerr himself, the card exhibits incredible technical aspects including a stellar fielding pose, clean surfaces, sharp corner tips and atypical fine centering. Emulating brilliant eye appeal, one can easily see why PSA chose to reward its outstanding aesthetics with the stratospheric NM/MT 8 assessment.